Originally created for those who did not have a bank account, prepaid cards have evolved into essential instruments of daily expense handling. Some people use them to control their budget while others utilize them as an alternative to a checking account. In a bid to provide the best possible services, the top debit cards provide you with outstanding features and rock-bottom fees. Hence, this type of payment medium has become very popular. 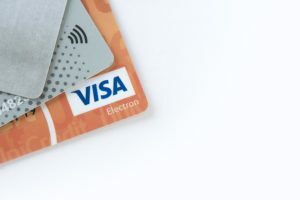 Read on to discover how prepaid debit cards work and how to pick a card. Prepaid debit cards work in a method that combines the facilities of a checking account and a credit card. These cards are normally provided by bank holding companies. Furthermore, they are branded by credit card companies such as Visa, American Express and MasterCard. A specific amount of money is loaded into the prepaid debit card. This is done in a way that is similar to a gift card. After that, the prepaid debit card can be purchased and used to pay for goods and services. This type of plastic money is accepted in most vendors around the world. As long as a vendor accepts credit cards, they will readily process payments made using a prepaid debit card. As you use a prepaid savings card, money is deducted from its total balance. You can keep spending until you deplete the card. Upon reaching this point, you cannot spend any more. Why would you want to use a prepaid debit card? There are many reasons why people prefer to use prepaid debit cards. They can use this card if they do not have any access to banking services. Those who do not understand the banking system can also make use of a prepaid debit card because it is very easy to utilize. If you have a low credit score, a prepaid debit card can come in handy as well. This benefit is available because the process of purchasing this card does not require any background credit checks. If you want to give someone a gift that keeps on giving, you can simply buy them a prepaid debit card. The recipient can proceed to use the card for buying goods and services. An interesting and convenient feature of prepaid debit cards is that they can facilitate shopping on the Internet as well as offline. In addition to that, you can withdraw money from an ATM using a prepaid debit card. How to pick a prepaid debit card? The best prepaid card for you mainly depends on how you plan to use it. You may simply desire to limit your spending. In this case, you can find a prepaid card with a low limit. Alternatively, you may want to replace your checking account. In this case, you can transform your cash money into long term prepaid debit cards. Nowadays, there are many ways to pay for goods and services. The prepaid debit card is one of the most convenient and efficient methods. This payment solution is popular, easy and guaranteed to make shopping much easier for you!